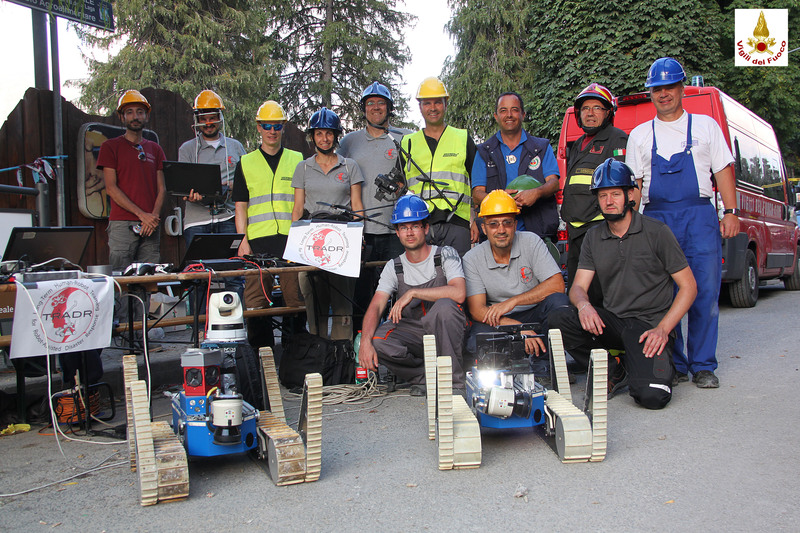 It was a great life experience being part of the TRADR team who successfully deployed two UGVs and three drones in Amatrice. 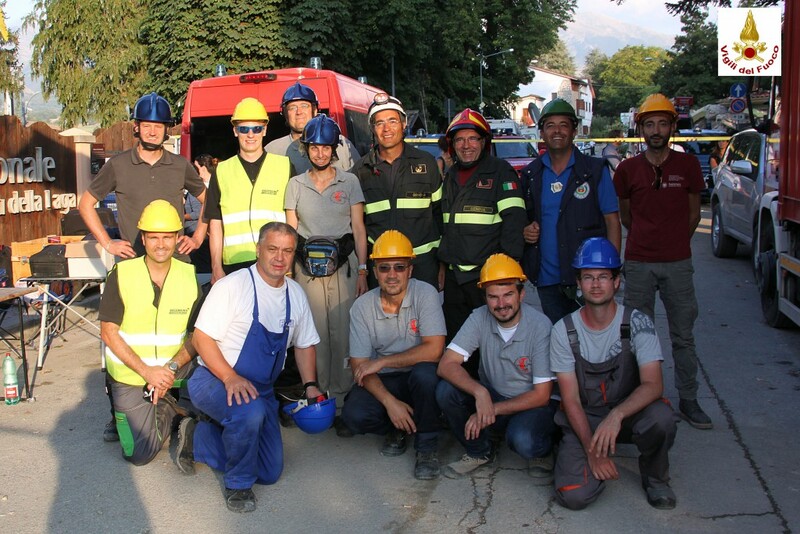 We were lucky to work with Vigili del Fuoco (the Italian Firefighters). 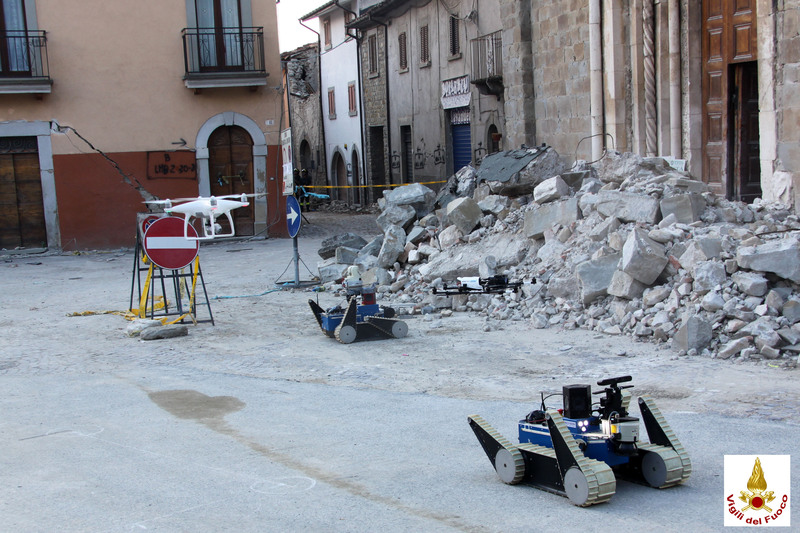 They are doing a terrific job in Amatrice. 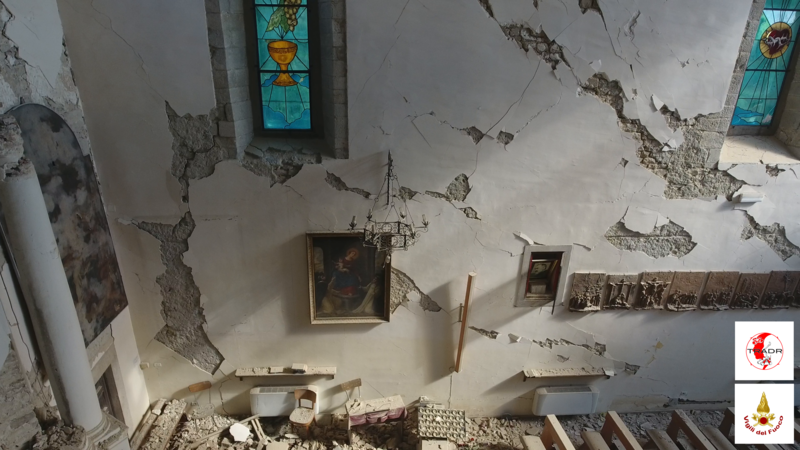 After the earthquake of August 24th, Vigili del Fuoco tirelessly worked in order to find and extract lives from debris and are still working hard in order to provide a crucial support to the people of Amatrice. 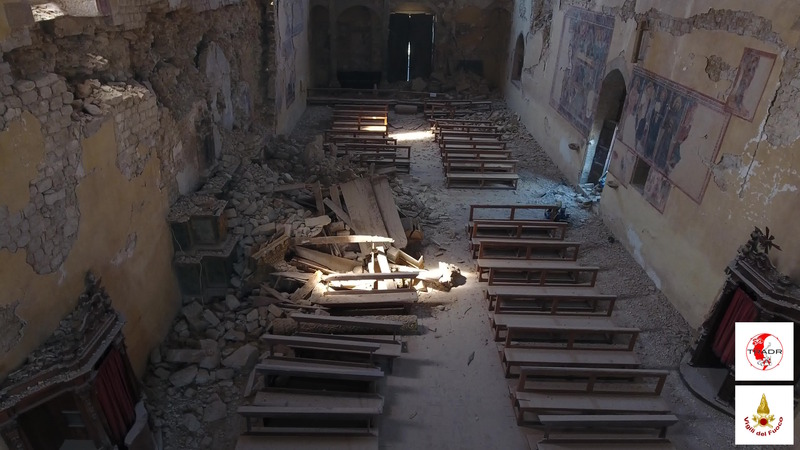 The Churches of San Francesco and Sant’Agostino in Amatrice are not accessible yet after the heavy damages inflicted by the earthquake. 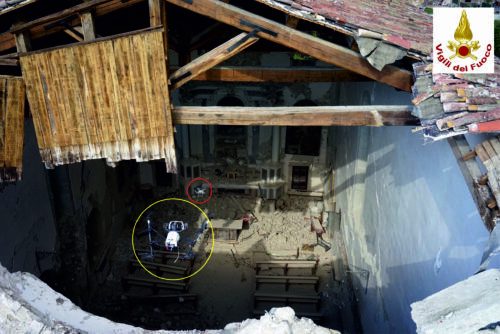 In order to verify their state, Vigili del Fuoco and TRADR Team deployed two UGVs and three drones in order to enter into the buildings on September 1 (single day mission). 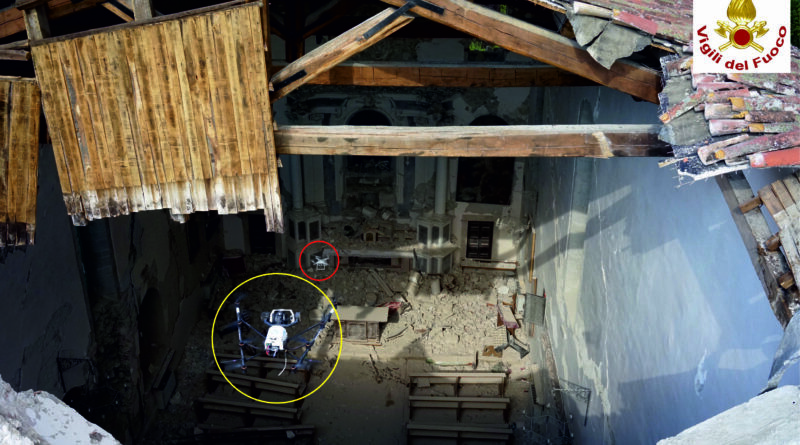 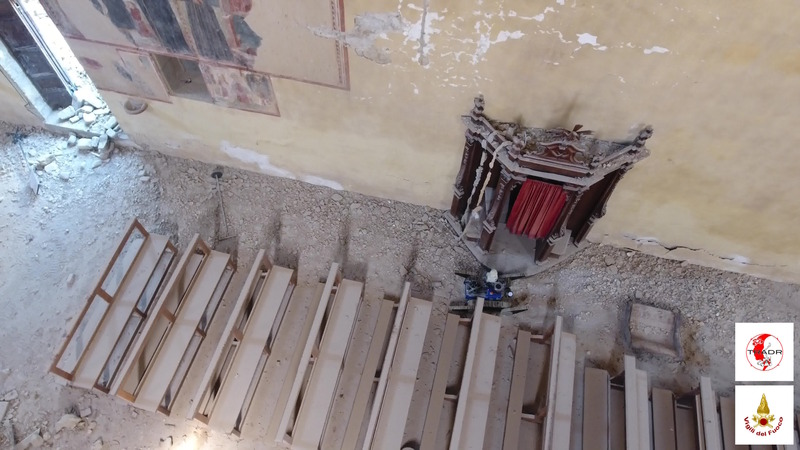 The goal was to acquire images and videos with the robots and eventually build a textured 3D reconstruction in order to assess the actual damages and design a securing plan for the Churches.